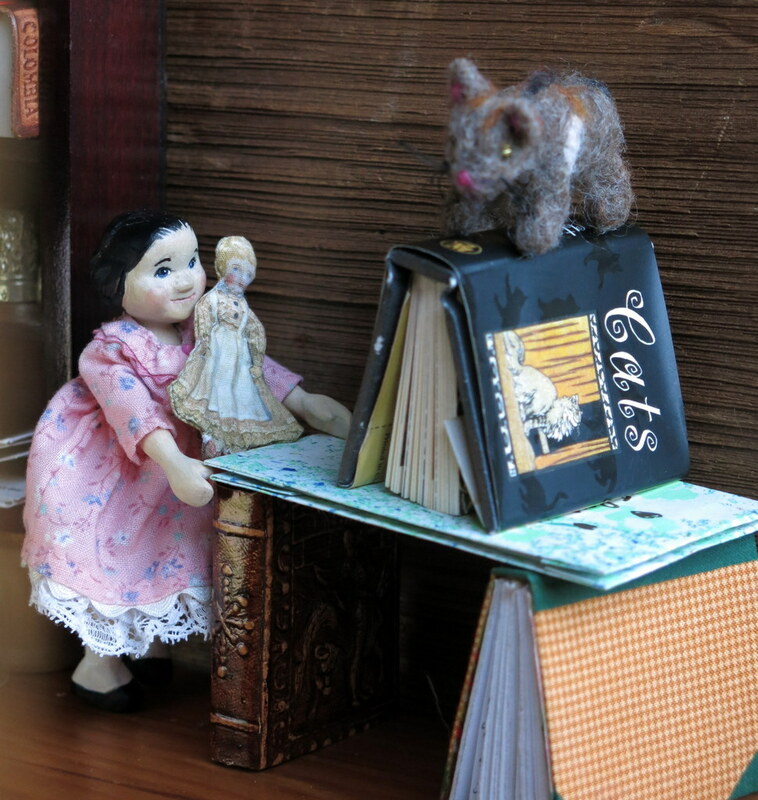 …and Gilly is creating imaginary worlds for the cats and dolls. It’s always lovely to get lost in the world of books! Some books just block out the “real world” for a while, and it takes a while for the definition of real to adjust itself after being lost in one of those. Holding a printed book with paper pages in hand, and sitting in a comfy chair, with a cup of tea and biscuit at the side table is one of life’s pleasures. 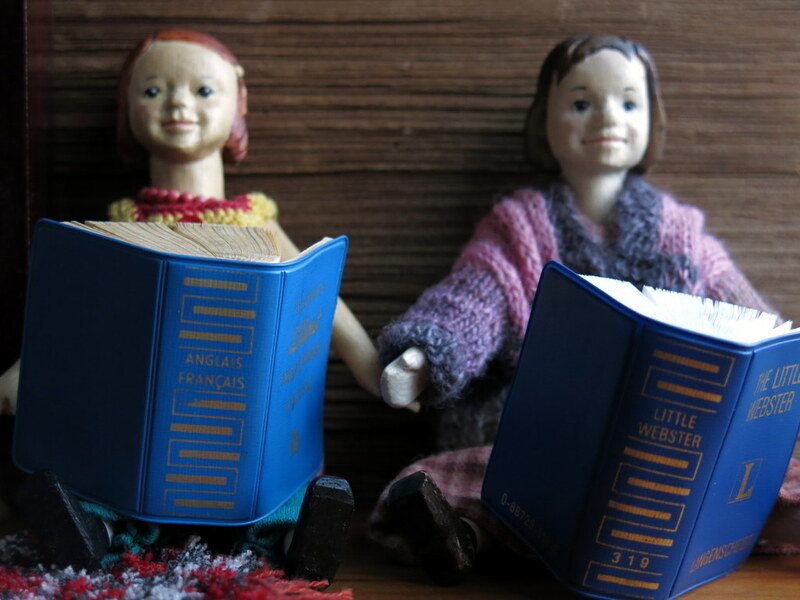 I see that Constance, Aurelia and Amelia each have their own preference in reading material…as it should be…Dear sweet Gilly has us all beat. Her books have taken her into make-believe places without her even opening up a page. This reminds me of my niece. When my niece (who now teaches first grade) was a little girl, my sister was very concerned because she didn’t like to read. We are a family of readers…One day my sister in exasperation asked her, why don’t you like to read books? She looked at her mom and simply stated that “books are for children who don’t know how to play, I know how to play”. We love the point of view of Gilly and your niece regarding books. About thirty years ago, a Librarian in London encouraged me to allow my then baby to enjoy books in any way she wanted to, including eating them! I myself went from Dr Seuss to Tolkein at age 8 because I wasn’t interested anything in anything else in the intervening years. What a sweet way to spend time indoors-books! Yes, I am glad the Hittys have re-discovered their Library! There can be a lot of fun between the covers of a book! 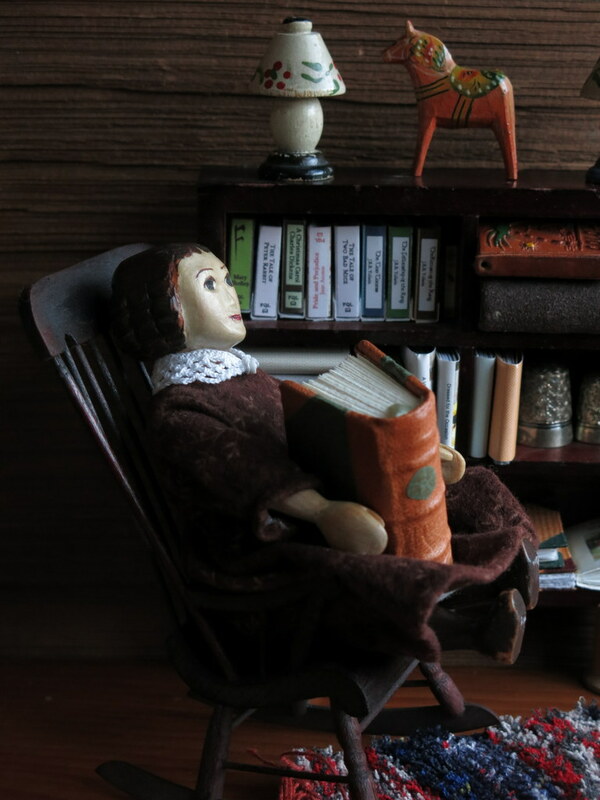 Ahh books and dolls!!! How does it get any better. And then seeing Gilly building a refuge for the cat and doll. Love the photos , they all look so cozy. They are cosy, luckily , as it is freezing cold outside, and the humans in our semi-insulated human house are not used to this prolonged and deep a chill!